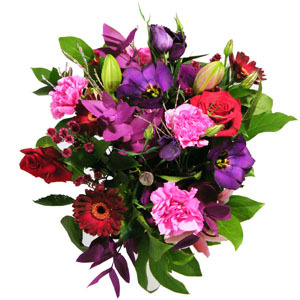 At D2F we work closely with carefully selected member florists and can arrange suitable flowers to be delivered by a skilled florist according to your instructions. 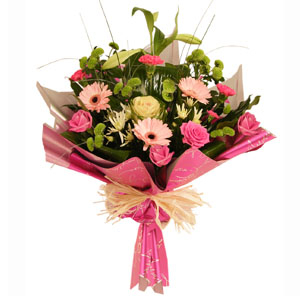 With Direct2florist acting on your behalf you are sure to receive wonderful service and flowers. That's our guarantee! Perfect they looked amazing! Will order again! The floral arrangement was perfect!! Everything went great and delivered as expected! 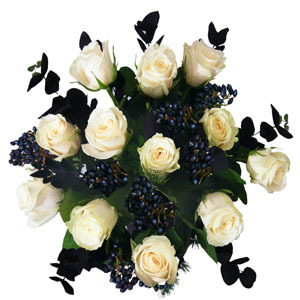 The flowers sent on order #1722915 were not as good as the flowers on the orderthat was sent to Indaial Santa Catarina! I?? ?m not sure what shop was used for the Indaial flowers but I would like to know the name and location of this shop! Please let me know Thank You! It was an amazing Service. The flowers were beautiful!!! Also, delivery was made as scheduled, I got email confirmations for order and delivery. Great service and I thought prices were fair. Efficient and caring. Written requests are in the special request boxes are read and acted upon. Beautiful arrangements as expected as well. Highly recommended. A had an unusual business need. I needed to send flowers to a co worker in Brazil from US team. The office in Brazil was closed for holiday so I could only order flowers online. It was simple, easy, hassle free and my co worker sent a message that the flowers were lovely and thoughtful. 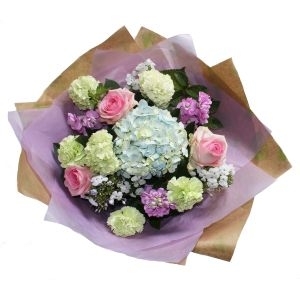 If I have a need to send flowers internationally in the future, direct2florist will be how I do that. 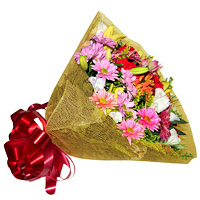 Price was not higher than any other online flower order. My niece was very happy with the unexpected order that she received and that made me happy . 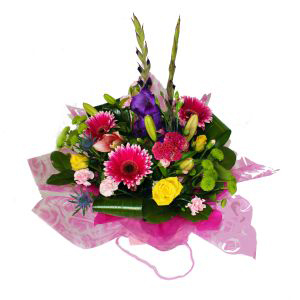 Easy to order and good quality flowers delivered on time and in the correct place. The ordering process was easy and the flowers were great! Amazing! Got them to her village when another online service couldn't! She was so happy! & More Happy that I thought so much of her! Thanks! You have my recommendation! Amazing job for a difficult delivery 10/10 will use again. Thank you very much! I live in the US. I ordered these flowers to be delivered in Brazil. I was very surprised they were able to make a same day delivery! The flowers looked great.. Always good quality and nice flowers. 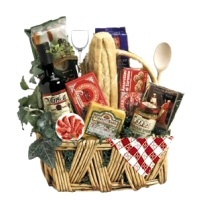 I ordered a gourmet basket on Sunday online in California and it arrived the next day in Rio de Janeiro. My son was so excited. He loved it. Excellent service and beautiful bouquets always. They delivered on time, and the flowers looked even better than expected. Thank you. Perfect as expected, she was so pleased! Was skeptical at first, but they delivered the beautiful roses & chocolates at the time they said they would delivered them and they did! My friend was surprised at the beauty of them! Thanks Floresnaweb Brazil! Beautiful flowers and worked with me to get them delivered to a farm in rural Brazil. Thanks! Have used your service to send flowers in Brazil more than 5 times. The Florist that fills the orders in Brazil is exceptional!! 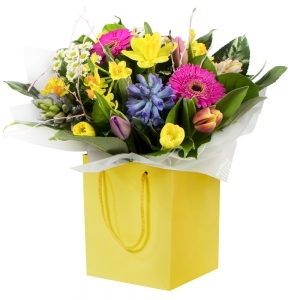 Always delivers beautiful bouquets and on time! Thank you for the smiles you have brought to my wife and family. Thanks Cyprus Flower Lounge LTD for the opportunity to make my dear friend from another country happy! 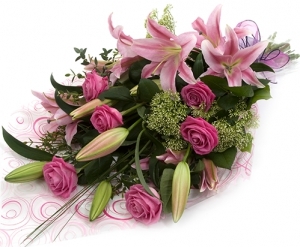 Flowers were fresh and nice and delivery as fast as possible. Just great! Everything was great, no complains here! Beautiful flowers. Simple easy to navigate web design, prompt service. Great first experience! I must say, I am pleased with my experience considering I am in the United States, sending to someone SPECIAL In Brazil. This delivery with flowers, wine, & chocolate arrived to her within the VERY next day of me playing my order with this Spectacular Service! Thanks to Floresnaweb Brasil and direct2florist! Will definitely use these services again! Thank you for promising a delivery on time. The flowers were very fresh and a lovely fragrance. I hope my friend will enjoy those flowers for a long time. Thank you again and I highly recommend your site. 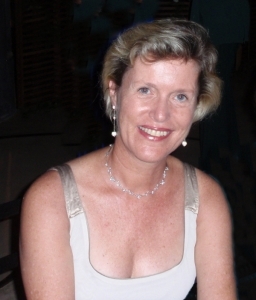 Vera W.
I'm an American and I wanted to arrange a special surprise for a friend in Brazil. This service was perfect, I told my friend I'd ordered them something and they were expecting it to take WEEKS assuming I'd be shipping it from here. But I was able to get my order shipped on the next day after I ordered, and it was a great surprise for my friend. Will probably be using this service again in the future. Increivel! Maravilhoso! Eles entregaram as flores a tempo cuando eu pedi e ate escreveram uma nota pela mao para minha namorada com o texto que eu escrevi no formulario. Exelente!! ordered a last minute large floral arrangement . 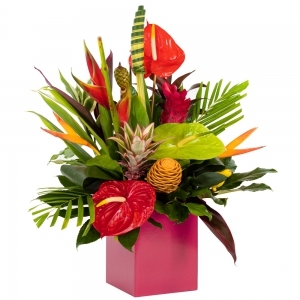 The arrangement was absolutely beautiful and they were able to accommodate my same-day delivery. I highly recommend the service for their professionalism and for the beautiful work they did. I asked for high quality flowers and they delivered an amazing arrangement. Made the recipient of the flower very happy and the flowers were gorgeous...Thank You!! Very committed to customer care,responsive and reliable delivery to Brazil, making sure that contact details were correct,lovely bouquet that made mother in law happy.Can only recommend this florist!Happy New Year and good luck to you guys - keep up the good work! was disappointed that they did not have red roses on their page, BUT this huge bunch of flowers totally stunned the lady, and her mother, and really impressed them. Please pass on to brazil, my compliments on a job well done! I have ordered from Floresnaweb multiple times and they have always been brilliant. I'm very happy with their service. Excellent florist! Fast and the delivered exactly what and how I wanted. Beautiful bouquet, just like the picture. Ordered in the morning from France, my girlfriend received the flowers in the afternoon at her office! :) Fast service, and the flowers were as colorful and 'generous' as showed on the website. Good service! Great service. Ordered approx. 1pm and it was delivered before he left the office. And, was as pictured. Thank you!!! Will definitely use again. Thank you for all your help the flowers were very loved! Even though the flowers were not as much pink and white as I thought they would be she absolutely loved them even more and they are still on display. Good job! I send flowers to Brazil from the USA often and have used other florists only to be disappointed. Direct2florist has been excellent!!! 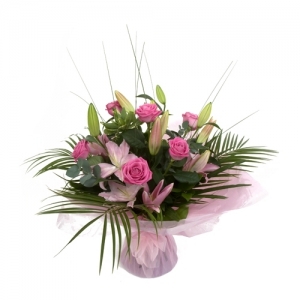 Direct2florist is reliable, professional and always delivers amazing product!!! I will continue to use Direct2florist!!! They have a life long customer! The webpage is excellent. Very user friendly, and the service superb. We will definitely use this service again. I have not seen the flowers (they were sent as a gift), but the recipient seemed very pleased - fresh, colourful and varied. Beautiful flowers and delivered on time!!! :) Friend loves it! It was great! Got the flowers delivered halfway across the world for me on the specified day. Took me 5 minutes to set it up. Exceeded all expectations, my fiancee was overjoyed. The flowers were beautiful, varied and fresh, I really couldn't ask for more. Thank you. Great product. We loved it. Much better than the photo conveyed! The flowers were delivered on time and were beautiful, just as the pictures showed. My girlfriend loved them, they were beautifully arranged. Great work done by the florist, I would order from them again! The The Best Service, Very Good & Timely Delivery. I'm Very Happy With The Quality & Service I got. I sent flowers to my dad, on his 75th birthday. He mentioned how beautiful everything looked and the arrangement was delivered on time. Thank you!!! Great experience, first time customer. Looked at the reviews before I committed and what a excellent service. Great communication, on time, and great products. Will be defiantly using them again. Thank you for sending a great arrangement. Easy to order. Flowers looked beautiful. Didn't really look like the picture but still wonderful. Would still definitely use again. The flowers were beautiful and a lot nicer than what was shown on the website. I am very pleased with Direct2florest Brazil and will continue to use them for all my floral needs. My niece was really happy with the flowers; she sent me a photo and they look beautiful. FANTASTIC! Product was far greater than i could have possibly hoped. My other half, Mo, was really delighted with them. Thank you. I was skeptical about ordering from USA to have or delivered in Brazil but in the end I was more than happy it all. It was delivered just as I requested. Time and special instructions!! Thank you! Beautiful and top notch quality! This was my first time purchasing flowers for delivery in Brazil, and was extremely pleased with the results. The flowers were delivered on time, and matched almost perfectly what I had ordered. 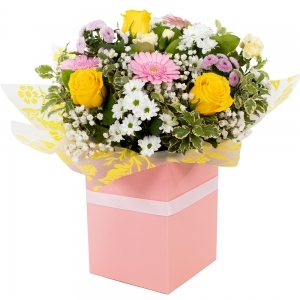 The delivery company made contact with the recipient very quickly, and ensure that the flowers were delivered in a courteous and professional maner. Perfect delivery and good service...flowers i wanted to order were not available, but got a phonecall and an email, to change and got a great replacement! This is my second time using your services and I'm very pleased to say that my arrangement was delivered as promised! And it could have not made a better impact on my Girlfriend! Thanks for a great service! Keep up the good work, and I will continue to be a faithful customer! I totally agree with all the reviews. This was FAST and EASY. The only reason why I took a star away was because they delivered an arrangement that I didn't order. Nonetheless the arrangement was beautiful and my girlfriend and all her co-workers loved it! Just wish that next time I choose an item that the same item gets delivered. But I'm a very satisfied customer! Orbigado! Very please with the service! I ordered a gift basket from UK and it was delivered in Sao Paulo in less than 6 hours, neat and pretty, as per described on the website. Thanks very much. Timely delivery, my friend got the flowers just the same day she gave birth to her first child- couldn't be more perfect for the occasion! Excellent service. Recipient loved the flowers. Florist was available to answer questions by email very quickly and was accommodating to changes I needed to make to my order. I was very satisfied and will definitely do buisness again! First rate all around. I was nervous ordering flowers from so far away. They were communicative, prompt and delivered nice flowers. First rate service - great experience. They were late with delivery in the morning, and it did not arrive until late afternoon. However when I sent them an email asking about the order, they responded very rapidly and told me exactly when the flowers would arrive. They were waiting on new fresh flowers. A+ in customer care! The flowers were lovely and well-presented, and my friend was delighted. Thank you. I managed to request a delivery date that was a public holiday in Rio so the place the flowers were to be delivered to would be closed. 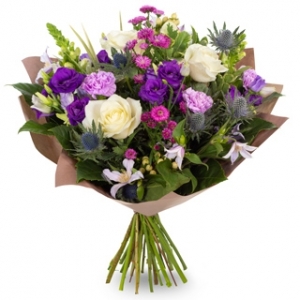 The florist got in touch by email to re-arrange delivery for another date but awesomely was able to instead deliver on the same day to the recipient's home address. Great service! The flowers turned out to be not quite right, maybe wrong season or something, but the bouquet still had the all-important 12 red roses which from photos (+the recipient's reaction) were really nice. Thank you so much...Mutio obrigado for making special excellent job. 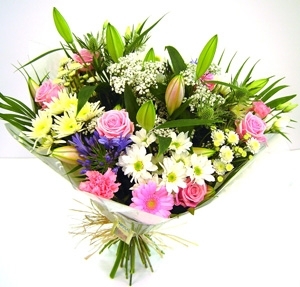 The flowers were excellent, the person who received them was very pleased. Delivery on time. Flowers fresh and beautiful. No payment surprises. That's all I ask for. Great communication, easy online navigation and payment options, especially regarding my flower order in a different country. Thanks! My expectations were exceeded ! A dozen red roses came in a wonderfull basket with a spetacular arrangement. My wife loved it all !! I strong recommend this service. Thank you. Thank you for the beautiful flower delivery and the awesome customer support! Fantastic floral arrangement with delicious chocolates delivered in very short notice to the other side of the world! Thanks for helping make my Valentine's present extra special! Beautiful arrangement. Thank you so much. You guys have an excellent service. I loved it. Again a great job! 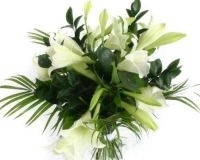 I have ordered from this florist 3 times now and they deliver in time and have great quality flowers. 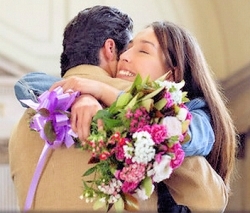 They did a brilliant job in making the bouquet. They even kept it a secret when they called to ask for the route to the address. Great job you guys! Wonderful...ordered online Sunday, delivered early morning in Brazil and the recipient was chuffed. As a family business owner myself I would like to pass by compliments to you...excellent service throughout. Excellent Service delivered in the morning as required. great service.Thanks for the good service. Great service, very quick, and I'm told that the flowers are beautiful. Thank you! Have used twice in last month for delivery in Brazil, my family tell me they are beautiful. There appeared to be delay in processing my payment (not at my end) and with quick emails between the shop and me I was able to send my receipt and the flowers were delivered in time for Xmas. wonderful. Beautiful orchids to one friend. 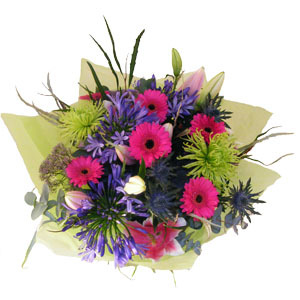 Super bouquet to another, both delivered speedily. Excellent service. Thanks again for your great service, beautiful flowers, and delivered smiles! Perfect service, perfect flowers. Beautiful. And due to an error on my part - an incomplete address - they made multiple attempts to deliver, leaving a contact number, which, when called they were redelivered within 5 minutes . . and all this to make me look fantastic!! Thanks, Dave. Thank you for your continued great service, staff, delivery, and beautiful flowers! Just great service. Forgot about a holiday so the day I asked for the delivery the florist was closed. Great service and the ordered bouquet was more beautiful than expected. Great job you guys. Muito obrigado! Very punctual delivery. User friendly and good website. This will not be the last time I order flowers from you. Thank you all for good service and products. Keep up the good work. Thank you so much for your excellent service! Flowers and special request were perfect, and her smile was proof :D Thanks again, I won't hesitate to buy from you again! This florist has first class products and service. Very accessible friendly staff. I am a very happy customer. I will continue to use them in the future. I ordered from England to Brazil and the flowers were delivered on the day and on time! The flowers were amazing and would definitely recommend this service. Many thanks! A beautiful boquet, thank you so much. I LOVED THEIR SERVICE. DELIVERY ON TIME AND PRICE WAS RICE, SECURE WAY TO PAY BY CREDIT CARD - I AM IMPRESSED AND I AM RECOMMENDING TO MY FRIENDS. ACTUALLY SOMEONE JUST USED DIRECT2FLORIST TO SEND FLOWERS TO MY MOTHER TO BE DELIVERED SUTURDAY 4/2/2011- YOU ARE THE BEST ONLINE - PERFECT IN EVERYTHING. THANK YOU. Site very easy to navigate, great selection and delivered as promised, will recommend for sure. Second time I use their service and again it was perfect! Got exactly what I wanted and on time. Thanks! Great service. Answered all questions along the way and the gift was delivered on time! 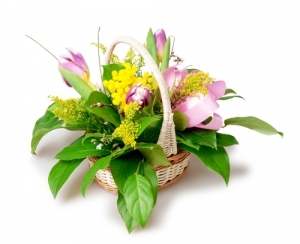 Refined basket of white tulips and mimosaâ€¦the perfect mix of flowers and colours to astonish your Woman! 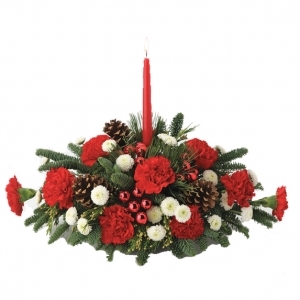 A gorgeous mix of twelve red roses, perfect for celebrating a special occasion. 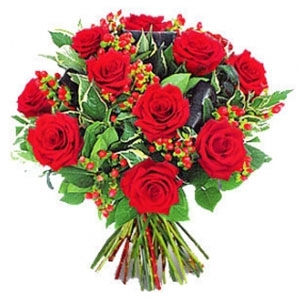 A gorgeous mix of twelve red roses, perfect for celebrating a special occasion. 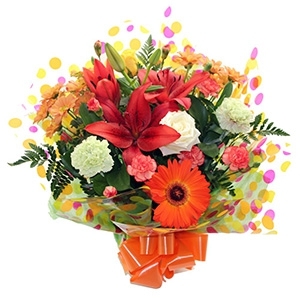 The foliage in this bouquet will consist of hipericum (the red dots on the foliage seen on the photo) or yellow tango. Both look beautiful with this bouquet. 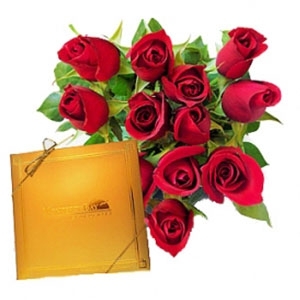 A perfect combination of a high quality box of chocolates with a beautiful bouquet of 12 red roses. 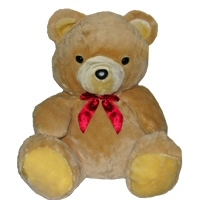 The Plush Toy with Flower Arrangement Gift Basket contains a beautiful fresh mixed flower arrangement on one side of the basket and a cuddly plush teddy bear sitting on the other side. 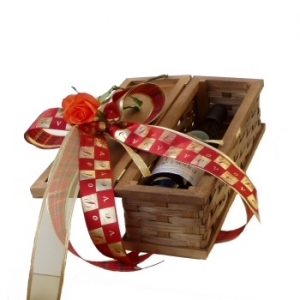 It is a wonderful basket to give adults, teens or even kids, sure to bring a smile to everyone's face; this is one of our best selling products. Delivery charges and taxes are always included in our prices. 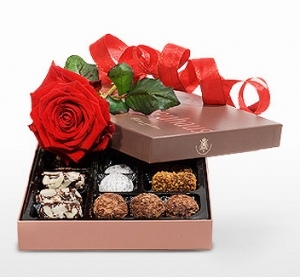 A beautiful box with fine quality chocolates. Elegant and sophisticated. A favourite for any season. 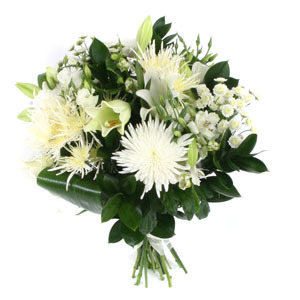 This bouquet of seasonal bright white flowers is perfect to bring some festive cheer all year around. The florist will include the best white blooms and seasonal foliage. 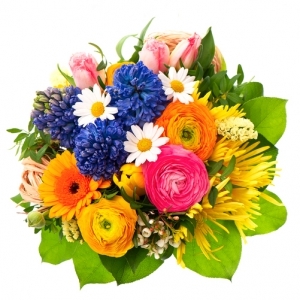 Beautiful mix flowers bouquet ! Mixed bouquet of summery pastel shades pinks purples etc. 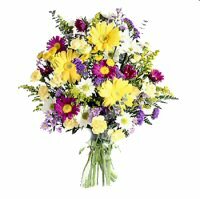 Bring the warmth of summer with this wonderful Magic Wild Flower Bouquet drenched in rich shades of yellows, pinks, whites, lilacs and oranges forming a beautiful mosaic of colors ! Delivered to all cities in Brazil. No extra fess or delivery charges. Beautiful bouquet of mixed colour gerberas. 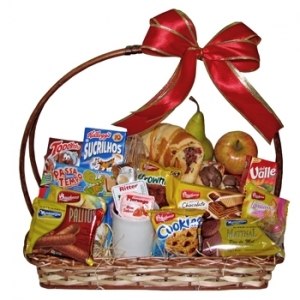 Send this delicious and gift basket full of treats to someone special to you in Brazil. 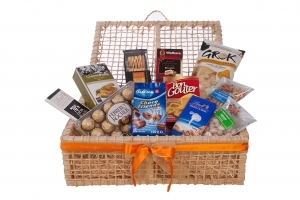 This gift basket comes with Lindt chocolates, crackers, pistachios, cashew nuts, cookies and sweet biscuits, Ferrero Rocher bombons and more. In case any of the above products are unavailable we will substitute them for a similar product of the same value and quality. A gift that will be a huge success. The delivery will be completed by Courier and delivery time will vary according tp SEDEX. 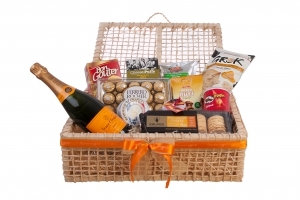 Gorgeous gift basket with Champagne Veuve Clicquot or Moet Chandon, Ferrero Rocher bombons, brie or camembert cheese, crackers, salty snacks, pate, mixed nuts and pistachios. Delivery will be completed by Courier using SEDEX and delivery time may vary according to location. 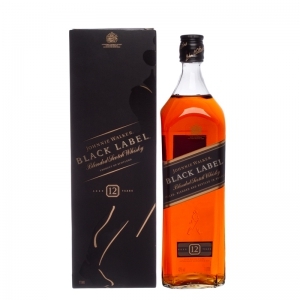 Whisky Johnny Walker Black Label. Next Day Delivery Only! The delivery will be completed by Courier. 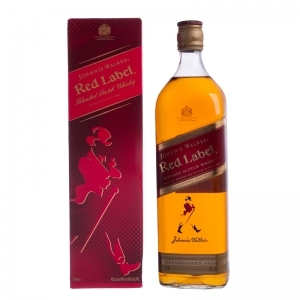 Johnny Walker Red Label Whiskyl Next Day Delivery Only! The delivery will be completed by Courier. Help someone celebrate a special occasion with this extra special gift. 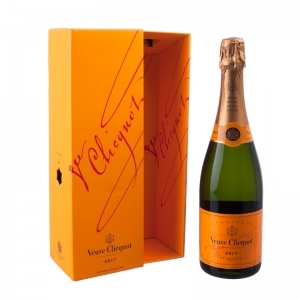 The Champagne Veuve Clicquot will be delivered through Courier. 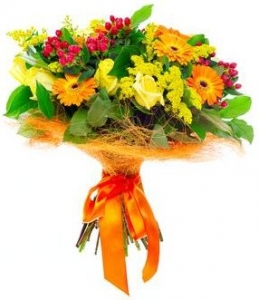 Hand tied of bright coloured flowers. 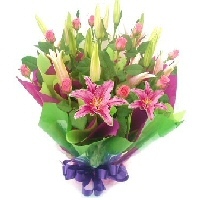 fresh cut flower bouquet of pink lilies and roses. 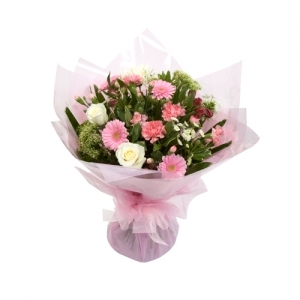 A modern pink handtied of fresh cut flowers perfect for any occasion. Front facing modern arrangement of fresh cut flowers in pale pink and whites arranged in a container. Classically traditional and beautiful. These medium stem white roses are sure to impress and are available for delivery all year round to all cities in Brazil. 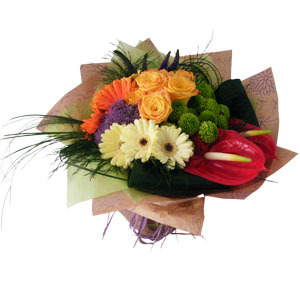 A handtied of fresh cut flowers in Autumnal colours arranged in a gift box. 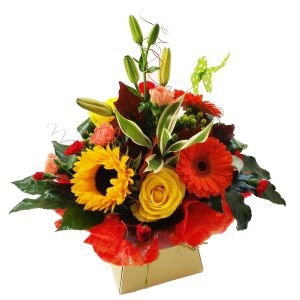 handtied bouquet of fresh cut flowers in oranges reds and yellows. 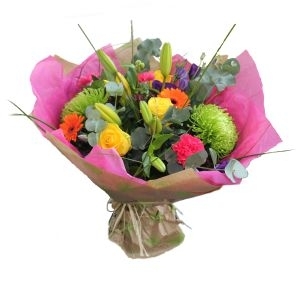 Handtied bouquet of English garden type flowers, in oranges pinks yellows white touch of blue. A gorgeous and beautiful bouquet with 36 mixed colored roses. 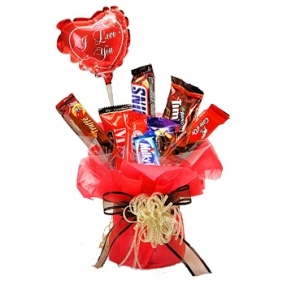 This special bouquet will be gift wrapped with luxurious wrapping and twirls, and the florist will hand deliver to the address of your choice. 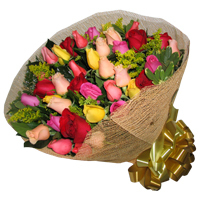 The Special Bouquet of 36 Roses is available for delivery to all cities in Brazil. Will make a special person feel even more special early in the morning. 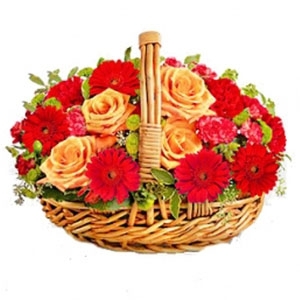 A beautiful Rose and Gerbera Daisy Basket; the colours of the flowers in the basket. A beautiful Rose and Gerbera Daisy Basket; the colours of the flowers in the basket will depend on the florist's stock of the day. The colour scheme will always harmonise to make the arrangement truly beautiful. Delivered to all cities in Brazil. 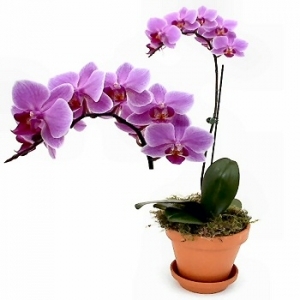 Order a beautiful Phalaenopsis lilac colored orchid, a classic and long lasting gift. 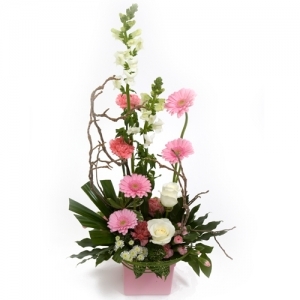 Phalaenopsis Orchids can be delivered to any city in Brazil. 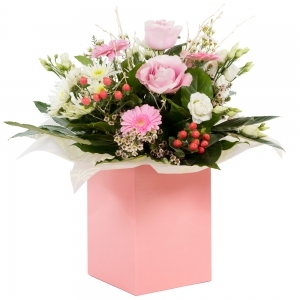 A sumptuous floral gift for all occasions. 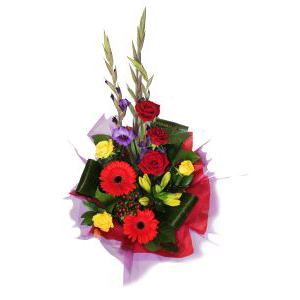 This Hand Tied Special Bouquet will be gift wrapped using special wrapping and twirls, and the florist will hand deliver to the address of your choice. Surely a great surprise any person will love to receive. 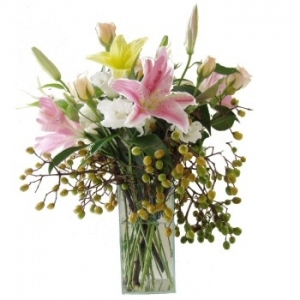 The bouquet is put together with the season's freshest flowers. Best sellers and very popular in Brazil ! 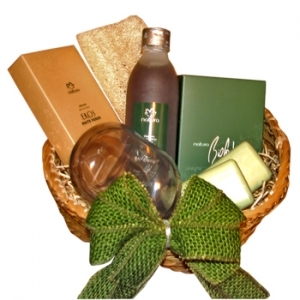 The Tutti-Frutti Ladies Basket is a lovely and very charming gift: it contains a 350 ml Natura Ekos Shampoo, a 300 ml Natura Ekos Conditioner, 350 g Bath Salts, a Deodorant, a 400 ml Moisturizing Body Cream, two bars of Natura soap, a hairbrush, a bath brush, a colored sponge for the shower and a soap container. 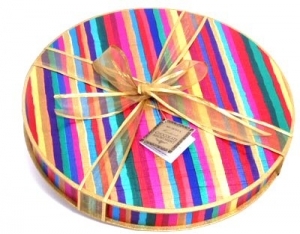 The Tutti-Frutti Ladies Basket comes wrapped with cellophane paper and a beautiful bow. It is a gift every woman will be delighted to receive. 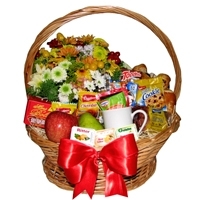 The Tutti-Frutti Ladies Basket is delivered in Sï¿½o Paulo city in a traditional basket. In other cities the Tutti-Frutti Ladies Basket is sent by Floresnaweb by courier, wrapped in a beautiful basket such as the photo. Calculate one day for Brazilian capital cities and 2 to 3 days for other cities. Delivery charges are always included in our prices. Argentine or Chilean bottle of special red wine (750ml) and a Salton or M. Chandon bottle of great bubbly to celebrate a festive occasion. Delivered to all cities in Brazil. 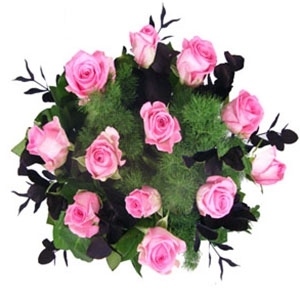 Dare to be different with these gorgeous medium stem pink roses. Dare to be different with these gorgeous medium stem pink roses. Available for delivery to all cities in Brazil. If bright pink roses are not available, they will be substituted by a lighter tone of champagne coloured roses. A box with a top quality Argentine or Chilean red wine bootle. 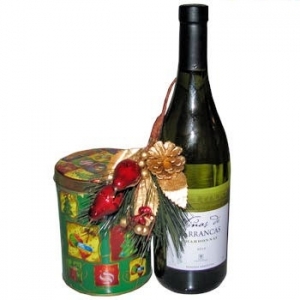 A good bottle of white wine and a delicious tin or box of imported cookies. A great way to show you care ! 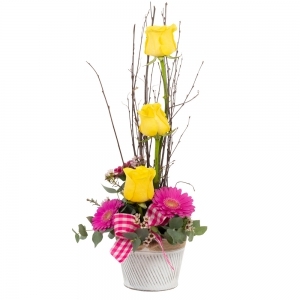 A beautiful arrangement with a flair for style. 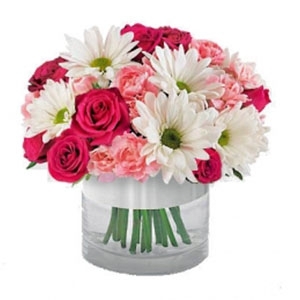 Flowers are expertly clustered mixing roses and gerbera daisies in pastel tones. Available for delivery to all cities in Brazil. 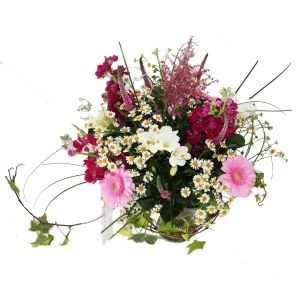 Front facing traditional basket of brightly coloured flowers; suitable for any occasion. 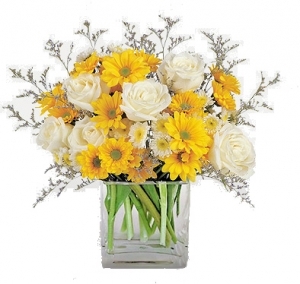 We deliver this beautiful flower arrangement to all cities in Brazil; the arrangement contains gerbera daisies, roses and sunflowers in tones of white, orange and yellow. 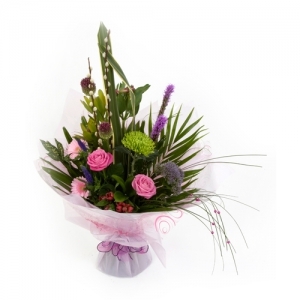 A beautiful arrangement of mixed flowers suitable for any occasion. Gerbera daisies, roses and wild flowers in a lovely composition. 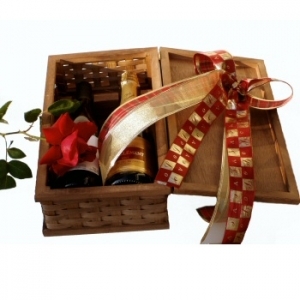 The Chocolates with Wine Basket blends chocolates and an excellent bottle of wine perfectly. 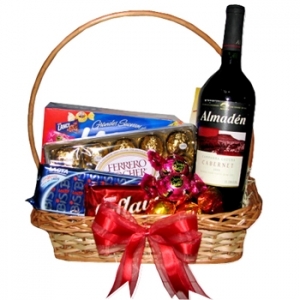 It contains a 750 ml Brazilian, Argentinian or Chilean bottle of fine red wine and a variety of top quality Brazilian chocolates, including Nestlï¿½ and Ferrer Rocher. Delivery charges are always included in the prices of our products. 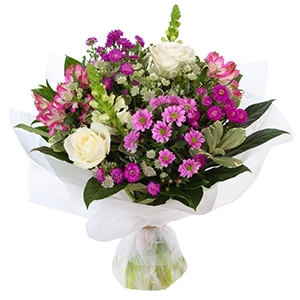 A Stylish bouquet of fresh cut English country garden flowers in pinks and whites with a touch of purple. The Boticario Mandarin Lady Kit brings nature straight into her home. This kit is composed of a 400 ml Boticario mandarin Shampoo, a Boticario soap bar, Bath Salts for a relaxing bath or shower, a Boticario air freshner, a hair brush and a colored shower sponge. Delivery taxes and charges are always included in the prices of our products; our drivers deliver this gift in Sao Paulo, for other cities we use courier services; kindly calculate one day for Brazilian capital cities and two days for other cities in general. 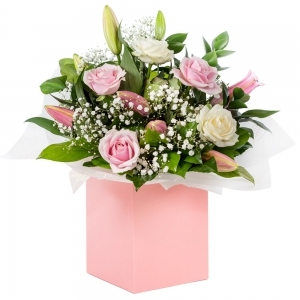 White Flowers tastefully selected to suit the occasion and beatifully wrapped with an appropriate card message. 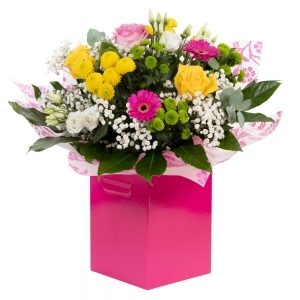 a handtied in vivid colours of cerise pinks purples yellows and limes. 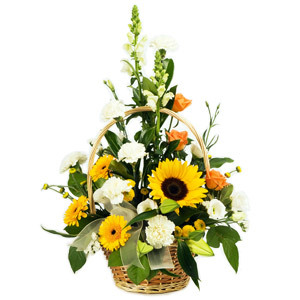 The Sunflower Bouquet is composed of 6 beautiful Sunflowers wrapped up as a bright and cheerful bouquet. 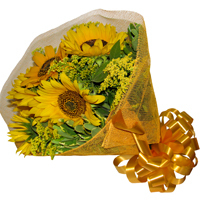 The Sunflower Bouquet is delivered to all areas of the city of Sao Paulo and Greater Sao Paulo. For other areas in Brazil e-mail us to check on delivery possibilities. This is a fun and at the same time gorgeous gift. 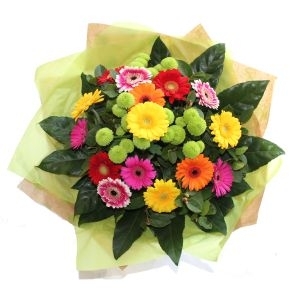 A bright coloured bouquet of mixed in season flowers. 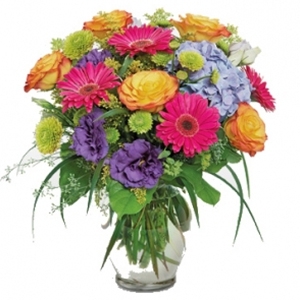 A bright coloured bouquet of mixed in season flowers. Delivered to all cities in Brazil. No vase included. This product is only available for delivery in the city of Sao Paulo. A delicious bucket filled with snacks with an *I love you Balloon* attached. Absolute success ! 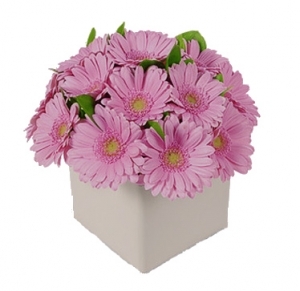 Beautiful gerbera daisies in a box or vase. The color of the daisies will depend on the florist's stock of the day. Delivered to all cities in Brazil. 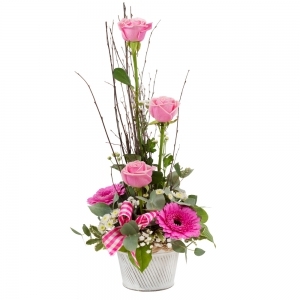 A beautiful Rose and Gerbera Daisy arrangement in a vase. 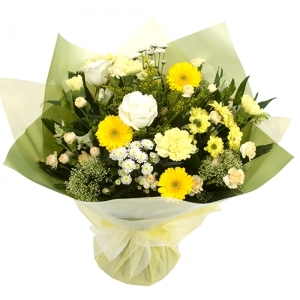 A gorgeous mix of yellow and white flowers in a box or glass vase. We deliver this product to all cities in Brazil. 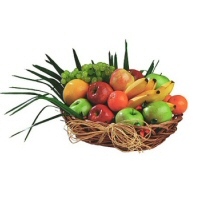 A basket with 18 fresh tropical fruits; delivered to all cities in Brazil. A baby girl gift box with a hooded towel, a soft and cuddly snuggle-buddy, a baby body suit, a swaddle and a toy. Taxes and delivery charges are always included in the prices of our products. 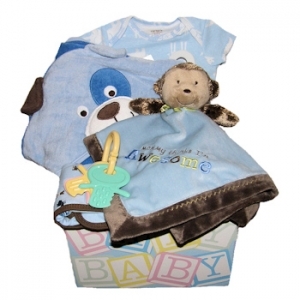 A baby gift box with a hooded towel, a soft and cuddly snuggle-buddy, a baby body suit, a swaddler and a toy. Taxes and delivery charges are always included in the prices of our products.